by Better Nutrition Magazine for seven years running. 100% Vegetarian, Dairy Free, Gluten Free, Chemical Free, Non-GMO. 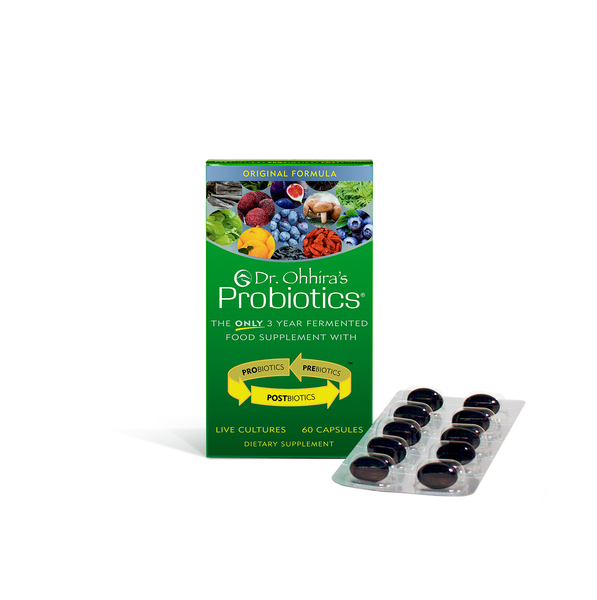 The three-year fermentation process at seasonal temperatures encourages survival of the strongest bacteria and makes the blend (12 Probiotic Strains) shelf-stable without refrigeration. Unlike other products that simply contain billions of freeze-dried non-native bacteria, Dr. Ohhira’s formula takes probiotic support to a whole new level by providing the biogenic ingredients needed to support your exclusive probiotic ‘fingerprint’. Science has proven that proper bacterial balance affects every part of your body.